The Enigma of Cleobulina the daughter of Cleobulus: A father had 12 children, and these 12 chldren had each 30 white sons and 30 black daughters which are immortal though they died every day. 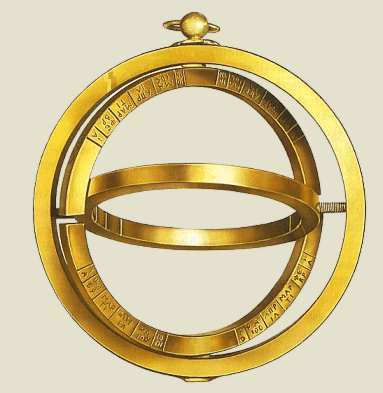 I will provide soon information about the units of time used by ancient Greeks. Only some funny remarks at the moment is that ancient Greeks used also in principle liquid measures for time measurements since as we know time “flows”. Using the clepsydra as a clock one could define the time by the amount of water that is required to empty a filled container with a hole in the bottom that allowed the water to escape which is approximately 4 minutes for 3 liters. Using also the shadow length it was common for ancient Greeks to say that they will meet at a specific time that is given as the length of a shadow shown by a sundial. In Aristophanes' Ecclesiazusae, in the 4th century BC, a person says that he determines dinner time by the length of a gnomon's shadow. The scaphe dial, probably the oldest form of sundials. Scaphe (Greek boat) a bowl-shaped cup within which the hour-lines are marked. At the time of summer solstice the shadow is shortest and falls exactly on the bottom line. In the following time the shadow grows again until it reaches the top line at the time of winter solstice. The days are divided into temporal hours. Their length is not fixed but instead the time between sunrise and sunset is divided into 12 intervals of equal length. The first day of a month is called Noumenia ( “new month”). Analyzing some sources it seems that the Greek calendar was actually more complex and different types were also used (for example the kata selenes calendar). Calenders proposed by Astronomers's such as Meton of Athens and others more accurate were not generally adopted, probably because there was no need for common people in contrast to astronomers. Arkesilaos, king of Kyrene in North Africa, supervises the weighting of merchandise. Spartan cup of mid sixth century BC. Robert Hannah, Greek and Roman Calendars: Constructions of Time in the Classical World. London: 2005.ISBN 0-715-63301-5. Dieter Lelgemann, Recovery of the Ancient System of Foot/Cubit/Stadion – Length Units (PDF File) with some interesting ideas about Greek units and their relation to Egyptian units and to astronomical lenghts.